As it gets decidedly chillier, the trees seem more beautiful each day in their autumnal shades of red and russet. It may only be October, but it won’t be long before our thoughts turn to preparations for Christmas. No matter how early I start, I always seem to have a mad dash come Christmas Eve for some last minute shopping. To help you out this year, we’ve been on the lookout for our favourite Christmas gifts and we’d like to take you to Bolivia to meet the artisans behind the up-and-coming socially responsible clothing company Beyond Beanie, with their colourful range of beanies and accessories. As an early Christmas gift to all Boutique Travel Blog readers, we have a voucher code just for you, which will give you 15% off all Beyond Beanie purchases. Read on to find out more. 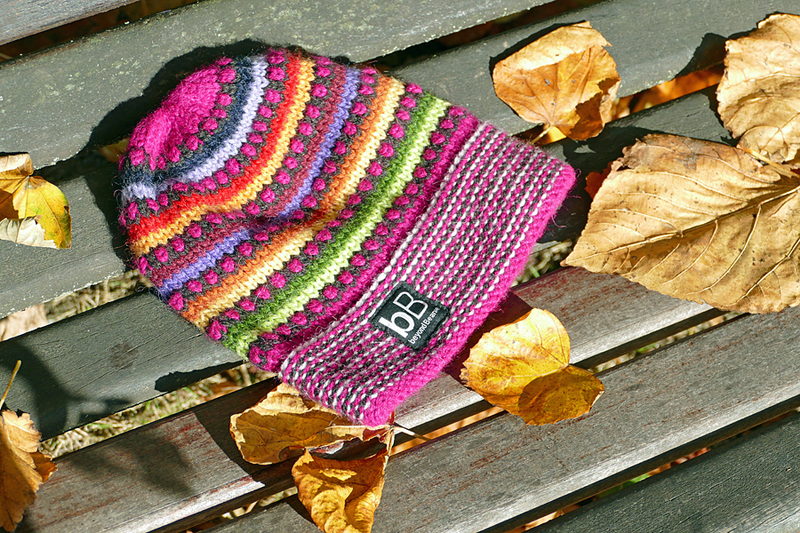 Every item sold by Beyond Beanie has been made by a skilled artisan in Bolivia, providing them with a stable, fairly paid job. 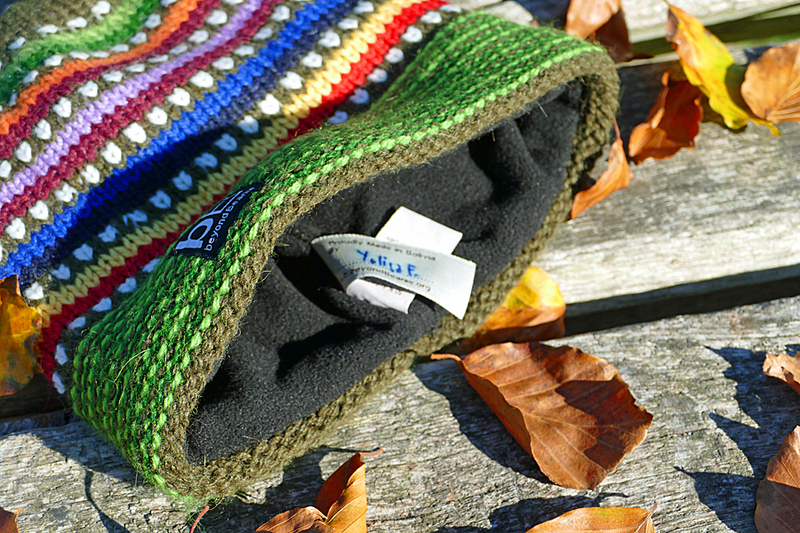 When I first came across Beyond Beanie, I adored the designs, especially those inspired by the rich Bolivian textile traditions like the Rainbow Collection. So much so that I immediately treated myself to not one, but two beanies. One is lined with fleece, ready for chilly winter days. It was made by Yolisa. The other has no lining, making it perfect for milder autumn or spring weather, and it was made by Juana. How do I know? My beanies, just like everything you can buy from Beyond Beanie, is hand-signed by the artisan who made it. 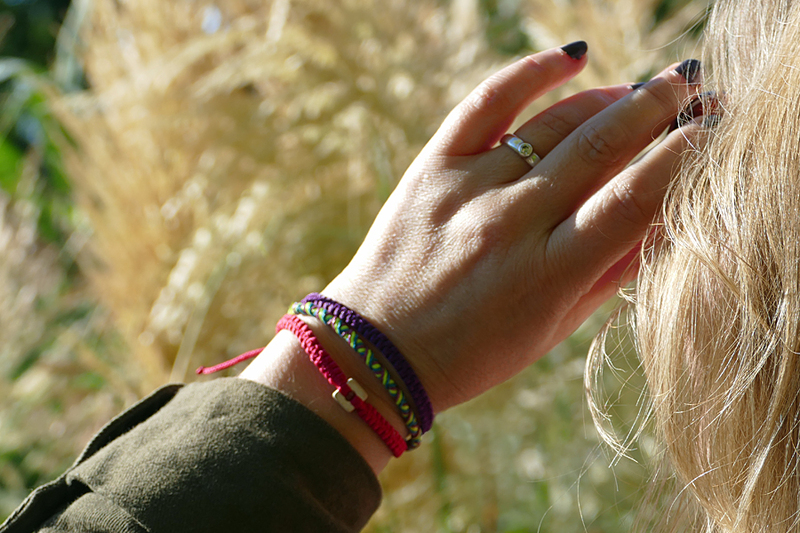 And you can read about each of the growing number of artisans on the Beyond Beanie website – a really lovely feature that I think anyone receiving a beanie or a bracelet as a present would particularly enjoy, making it perfect for Christmas gifts. Some of the women are single mums, some have AIDS. Many had little or no education, and previously had very little confidence in themselves. Some have large families and the support of a hard-working husband, but even so, life in Bolivia is not easy. For women like Juana, knitting has been part of their family heritage for many years, while for others, like Zenobia, it is a new skill. Zenobia was selling food on the city streets up until a year ago, when Beyond Beanie artisan Veronica (pictured above) taught her how to knit. She hasn’t stopped knitting beanies and bracelets since. One thing that they all have in common though, is that they are all proud to be part of the Beyond Beanie community. It offers them a stable job, which they can do from home, giving them more time with their children. But that is only part of the story. Beyond Beanie’s mission doesn’t end there. Every single item sold by them also benefits a child in need via the Amanecer Salomon Klein Centre in Cochabamba, providing meals, school supplies, uniforms and dental care to orphaned and abandoned children. 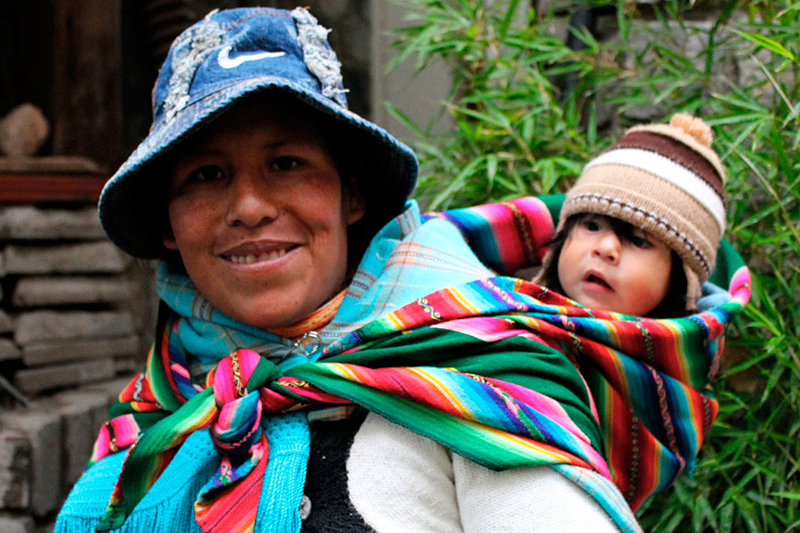 Thousands of children, some as young as three years old, live on the streets in Bolivia. 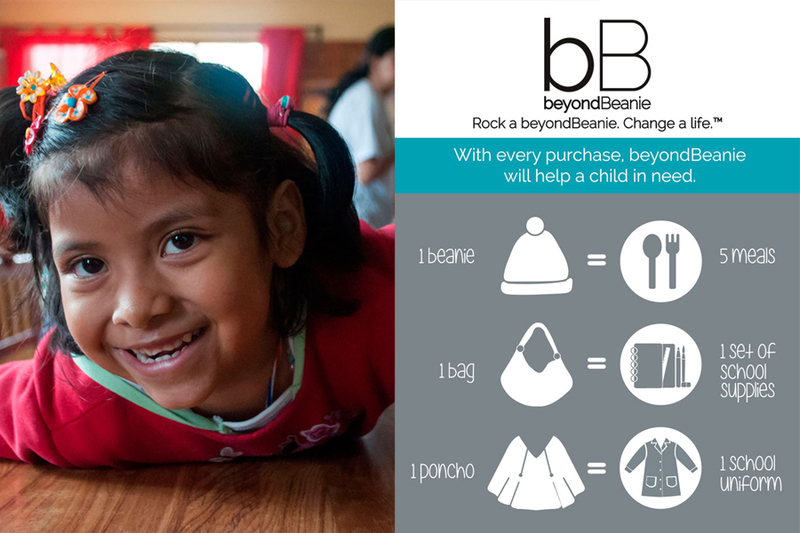 As Beyond Beanie grow, they will be able to help more of these children, as well as provide more work for the Bolivian artisans. And here is our early Christmas present to all Boutique Travel Blog readers. Use the code KLB15 at checkout, and you will get 15% off your purchase. You can use the code as many times as you like up until the end of the year. Visit the Beyond Beanie website today. Whether you buy a Beyond Beanie present for yourself, someone else, or as one of your Christmas gifts, you are part of the Beyond Beanie community. Rock a beanie – change a life. Makes them an even better gift to give and I love the designs, especially the ones I’ve shown in this article. So colourful. 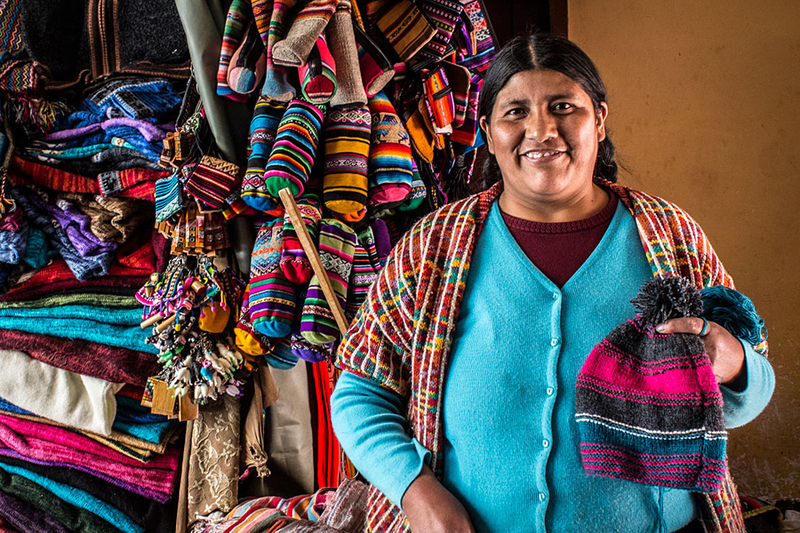 I fell in love with Bolivia when I visited my sponsor child in 2012, and it’s heartening to see pro-active organisations such as this helping out in the fair trade arena. Plus it’s always a bonus when the products are so appealing too!